Kindly Tip: Please note that the colors shown in the photograph may not correspond 100% to those in the items themselves due to limitations in photography and inevitable differences in monitor settings.We strive to make our colors as accurate as possible. Colors are approximations of actual colors. 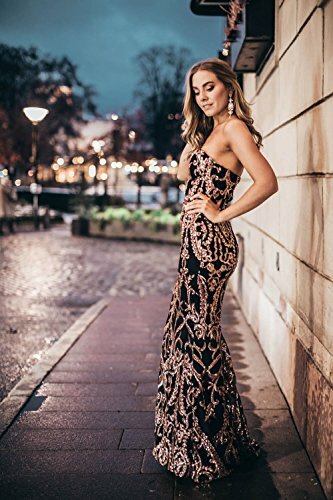 It is the perfect for prom, weddings, evening, pageant, homecoming, party, dance, birthday, festivals, holiday and other special occasion dresses.